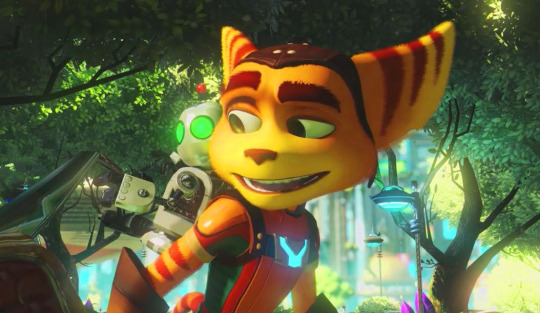 The Ratchet and Clank Blu-Ray Movie was just released last month, coming forth to a not-so-positive review. In truth, it's hard to blame them: the movie may look visually pleasing, but there's only 2 bonus features, and no deleted scenes! The bonus features are interviews of Kevin Munroe, James Arnold Taylor, and Bella Thorne talking abut the movie, the game, and the message it sends to kids. 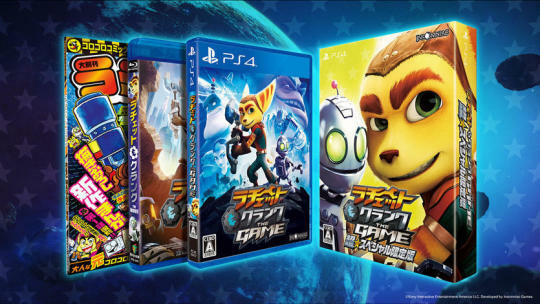 Meanwhile, Japan gets the ultimate Ratchet and Clank experience: a bundle of the movie, ps4 game, and a comic book all in one! Pre-ordering the Bouncer also includes a custom Japanese PS4 theme for Ratchet and Clank fans. All that's missing now is the classic black eyebrows. In terms of actual deleted scenes, Kevin Munroe posted one on his instagram. 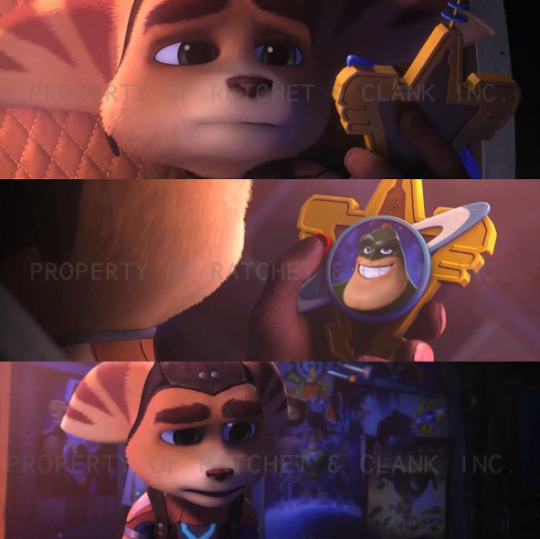 Ratchet continues to mourn after being rejected by the Galactic Rangers. When asked about the deleted scenes ever being shown to the public, Kevin Munroe answered: "Yeah…not sure if we'll ever get to see see them. Probably just a producer's call at this point." Only one can hope as there are over 5 deleted scenes in total, not counting any we don't know about yet. 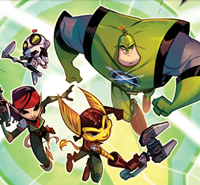 Interestingly enough, Rainmaker's main concept artist, Tony Washington, posted concept art of the entire Ratchet and Clank Act scenes in the movie. Most of these are paintings, renders, and even unused concept designs of certain characters. Drek and Grimroth looked quite different in the beginning. Lastly, the Ratchet and Clank Official Guide Book was released last week! The book is an info-surplus of all things Ratchet and Clank. It also gives you the complete translation for the Solonian Language. Insomniac Forum's Kbabz has given an In-Depth Review of the Guide Book, but not all 112 pages. 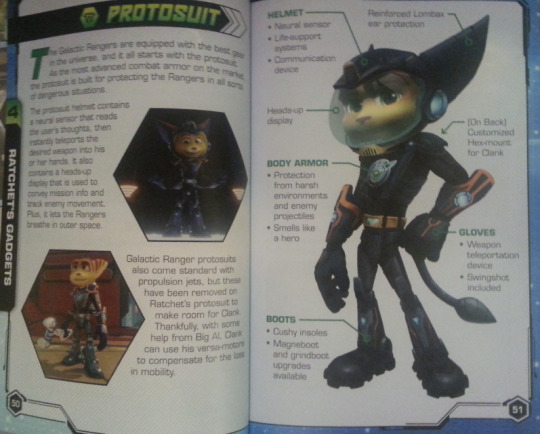 There isn't too much in terms of new info, but it does show the full-body view of Ratchet's protosuit, and Chairman Drek. Grimroth found a baby lombax crashed landed by his garage, and named him "Ratchet" for his gift of fixing machines. Grim's twin brother "Felton Razz" prides himself as a "professional chillaxer," who left the Polaris Galaxy for a fishing trip to Pokitaru, and never came back. Brax Lectrus was a professional wrestler in the "Grapplemania," before becoming a Galactic Ranger, and Cora built a dreadzone fusion rifle one day while eating breakfast! 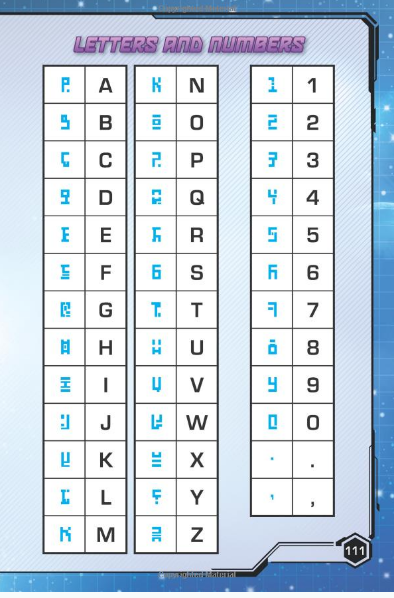 All that and more as the Ratchet and Clank Guide Book gives you a complete tour of the Solana Galaxy. 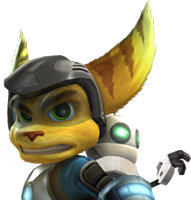 That concludes any and all news on the Ratchet and Clank Movie/Ps4 game. Who knows where Insomniac Games will take our duo next? 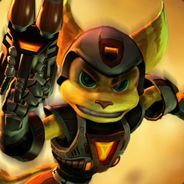 There have been rumors that something Ratchet and Clank related would be announced at PAX this year, however, it is unlikely, considering that Insomniac has their hands full with a Marvel Spiderman game. Until then, stay tuned to Ratchet Galaxy.